Pendants for necklaces of all shapes, sizes, colours and strength from Tribal pendants to sterling silver crucifix pendants. We've got your style. 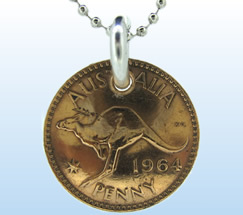 Hand crafted and designed to be different, Coin pendants make lovely jewellery with extra sentimental value with the life these coins have seen. 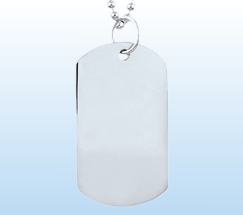 A pendant classic, sterling silver Dog Tag pendants are a favourite piece of jewellery for men and our growing range of dog tags include engraveable pendants. 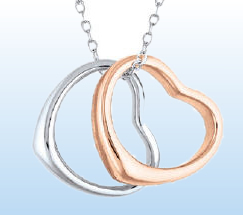 Our huge range of love heart pendants includes sterling silver heart pendants and padlock heart pendants with every style of love heart jewellery in between. 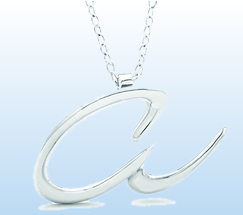 Letter pendants on sterling silver chains make unique gifts especially our Swedish designed, Australian Made Initials pendants. 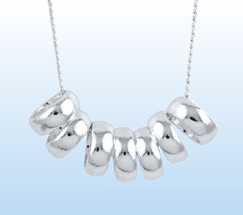 Elegant jewellery, unmatched value. 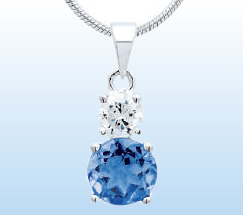 CZ stone set pendants are stunning pieces of jewellery for every occasion without the heavy price tag of diamonds. Beautiful royal blues and emerald reds. Sterling silver pendants are beautiful pieces of jewellery you can wear on any occasion and The Jewellery Shop has every style from hand crafted sterling silver pendants to tiffany hearts. 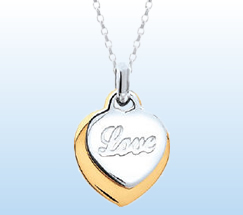 A beautiful selection of gold pendants and rosé gold pendants for necklaces ranging from stunning love hearts to 7 lucky ring pendants. A mix of sterling silver and gold is delightful. 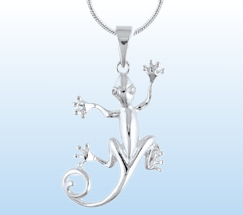 Gecko pendants hand crafted in sterling silver, frog pendants and starfish pendants, our Little Creatures collection of sterling silver pendants is adorable and you'll love them too.